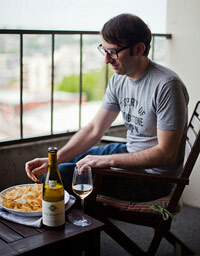 When it comes to the grapes that make up Champagne, you hear a lot about Chardonnay and Pinot Noir. And not so much about Pinot Meunier. Considering still wines, the former duo is justifiably famous. (Hello, Burgundy.) Both have plenty of household recognition as well. But I like to root for the underdog. That’s why I decided to look further into Champagnes made with the Pinot Meunier grape. 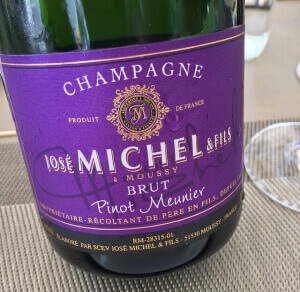 As far as its presence in Champagne, when you consider the numbers it’s a bit of a misnomer to call Pinot Meuneir an underdog. 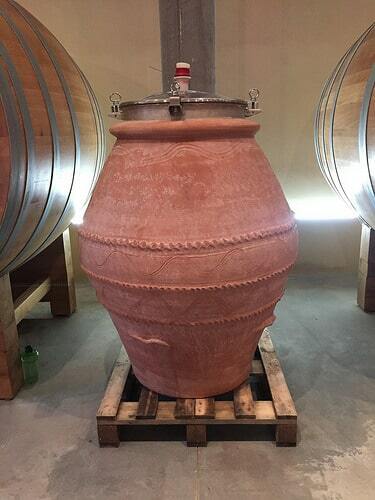 It’s actually more widely planted in the region than Chardonnay, and not too far behind Pinot Noir. But folks just don’t know much about it because it rarely gets a starring role. Pretty wild, huh? Ok, let’s talk bubbles. One producer liked to call regular bottles “half magnums” as a tongue-in-cheek way to reinforce the primacy of the 1.5L. 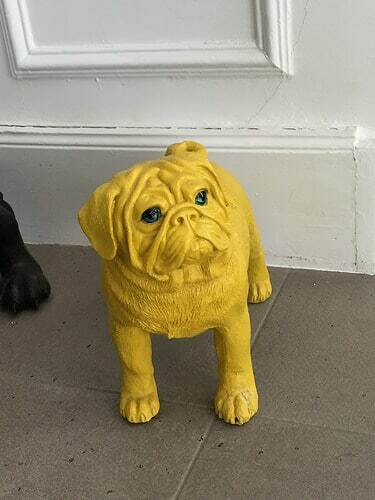 More: I spied a yellow pug statue. 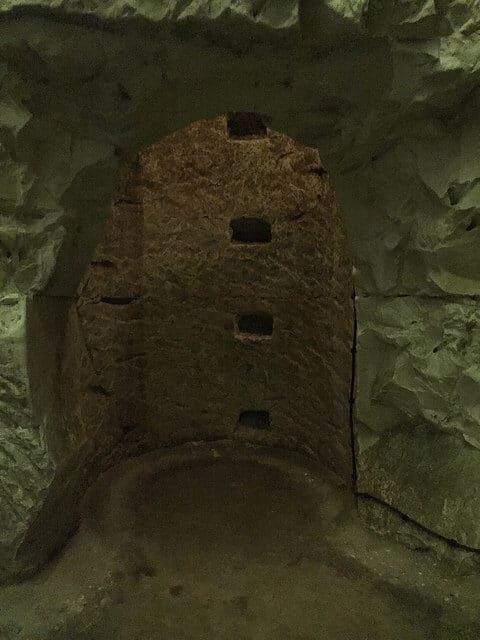 I toured the caves of G.H. Martel and learned this is how you used to get in and out. I got a tip from my guide at G.H. 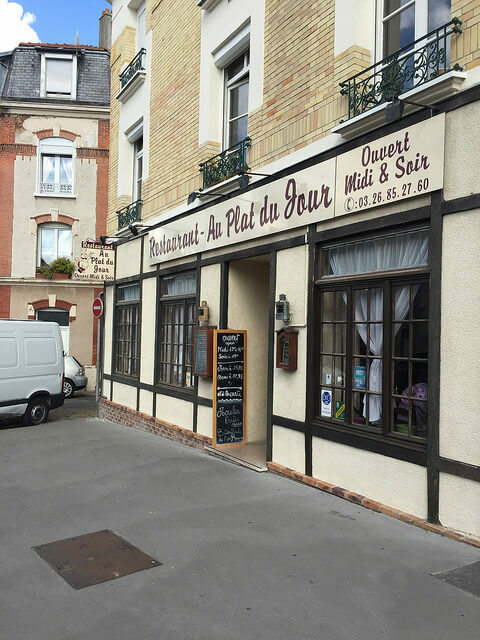 Martel to eat at this old-school spot. Inside is decorated with all kinds of motorcycle and race car memorabilia, mostly posters. They wheel a chalkboard menu to your table, which is cool and kind of intimidating but very handy for pointing and ordering. Managed to fumble my way through a request for the set menu which featured a shredded carrot salad, beef stew, and sorbet. I also successfully requested a beer. Yes, I ordered a beer in Champagne. 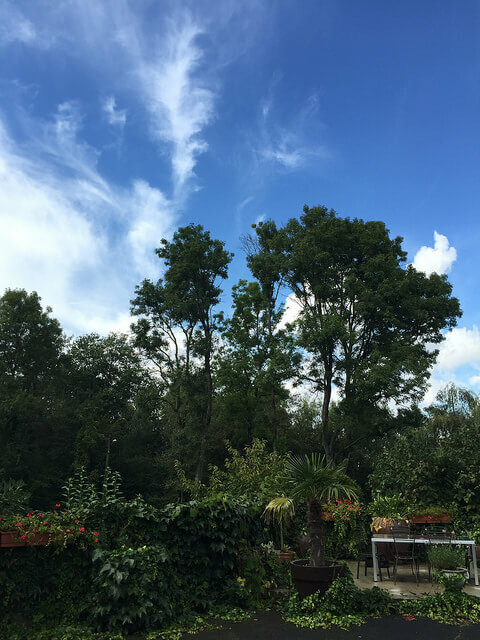 I visited Bérêche et Fils, which has this idyllic garden outside of its tasting room and production facility. Also got to taste a still Chardonnay that was exceptional. Hi, thanks for reading to the bottom. 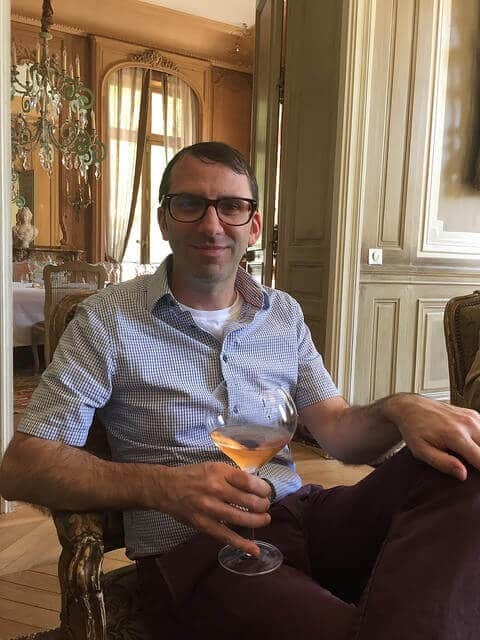 If you’re still curious about Pinot Meunier, I recommend this post from Elaine at Hawk Wakawaka Wine Reviews. She is probably the world’s #1 fan of Pinot Meunier. 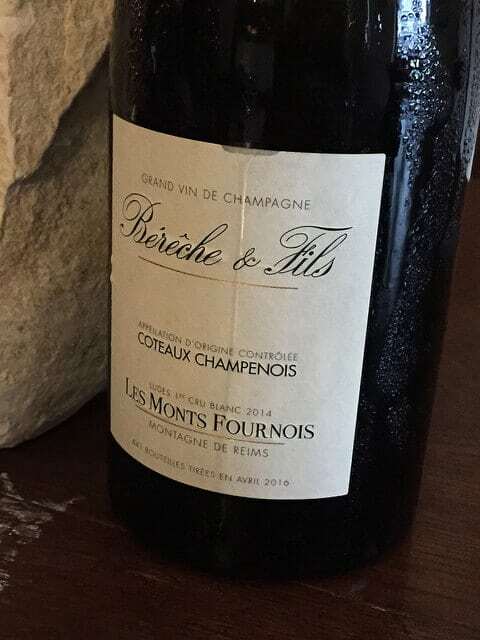 Elaine highlights Champagnes, naturally, but also some fascinating still red wines made from the grape. 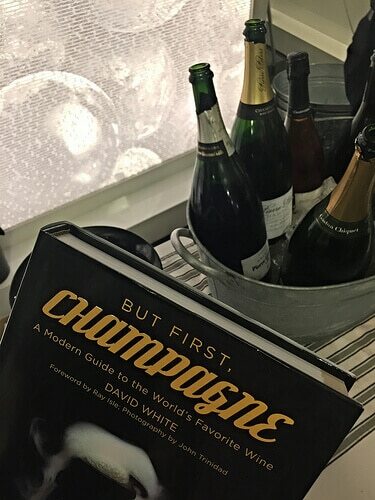 Oh and if you need a book about the world’s finest sparkling wine, find a copy of David White’s But First, Champagne. You can check out a bottle from a unfamiliar producer, pour yourself a glass, and then flip to their profile and start learning. And, of course, the front section of the book has all the history and general knowledge you crave. 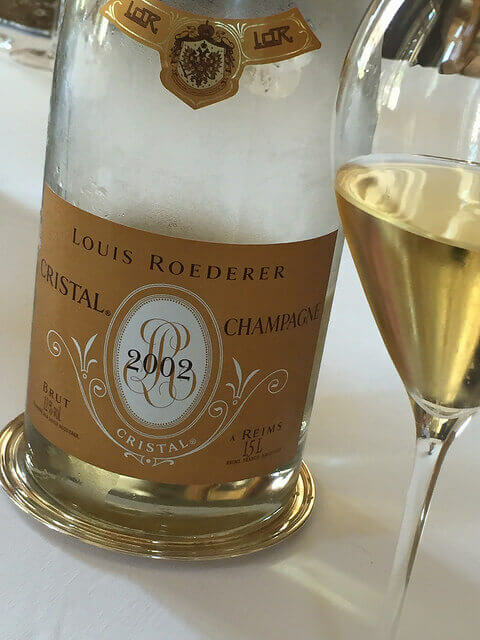 I love everything about this (and also quite fascinated by that stem you’re holding at Louis Roederer)! I’m also still super jealous that you got to tour my bucket list destination. Thanks, Mary. Yes, that certainly was a very oddly shaped flute, no?